As you may have heard, SPELLCASTER is no more. Due to increasing lineup instability, we decided to lay the name to rest in April of 2017. That being said, the remaining SPELLCASTER members (Gabriel Franco, Sebastian Silva, Colin Vranizan & myself) already have a new project up and running. And yes, we will continue to work with Prosthetic Records. Now the search for a new vocalist begins! 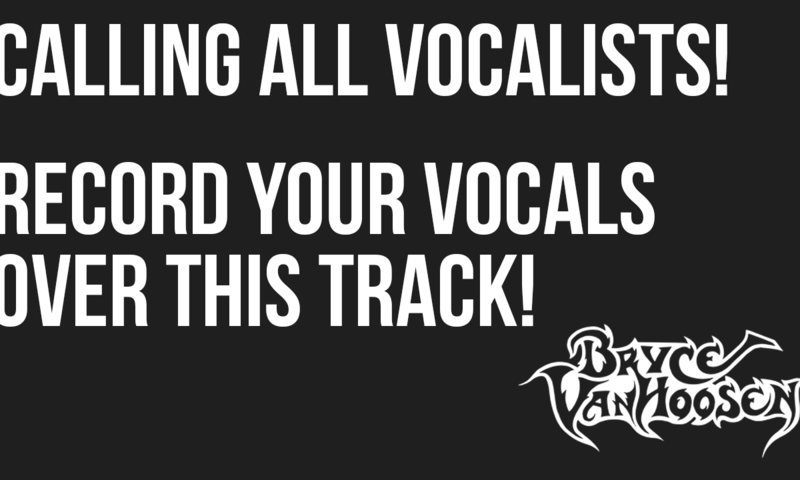 We want YOU to sing over our track! We’re looking for a vocalist who emphasizes melody over all else. There are no lyrics, no written melody, nothing. We want to hear you singing naturally over this track. We’re looking worldwide, so don’t hesitate to submit just because you’re not in Portland, OR with the rest of us. Thanks for reading, and we look forward to hearing from YOU. Recorded with EMG pickups, Jackson Guitars, and Positive Grid’s BIAS FX. Drums recorded by Gabe Johnston at Falcon Studios, Portland. Submit Your Vocals Over This Demo Track!